This freestanding display is the perfect marekting piece for your next trade show booth! The Tru-Stand Straight display plays no games and delivers your brand or presentation message with innovative style. 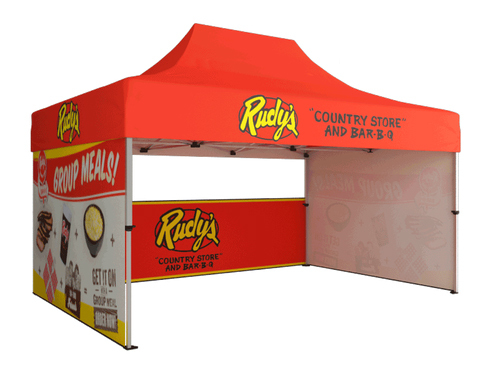 Coming from our most popular line of trade show displays - The Tru-Fit Series - the Tru-Stand display features a full custom graphic print on tension fabric. The display itself is lightweight and the snap-tube frame makes it easy to assemble in just minutes. Take advantage of extra marketing power by adding a double-sided graphic to the Tru-Stand display! Don't forget to throw some LED lights on there so you never miss a lead!